Thirteen-thousand-five-hundred feet is high. That’s about five times the height of the world’s tallest building. 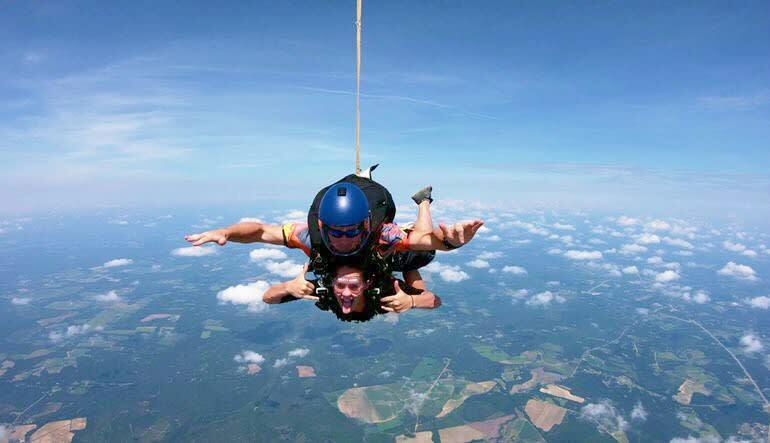 This Georgia tandem skydive is one of the biggest jumps! Thirteen-thousand-five-hundred feet is high. To put it in perspective, that’s about five times the height of the world’s tallest building. 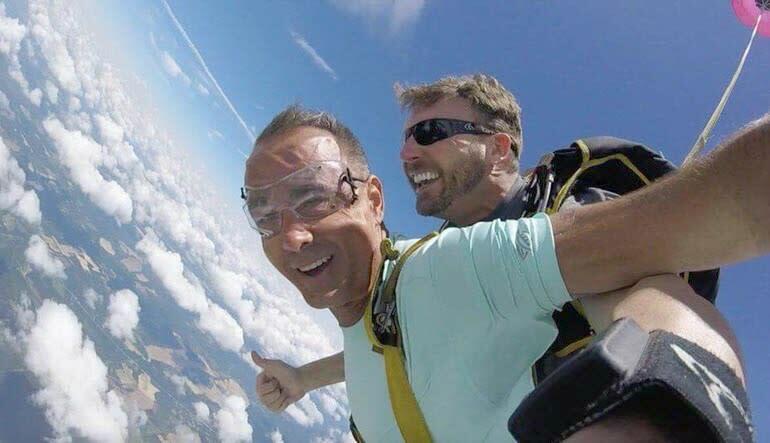 This Georgia tandem skydive is one of the biggest jumps in the state! A short drive from Savannah, Charleston, Augusta or Atlanta, this dropzone boasts a flawless safety record and out-of-this-world views. You’ll bullet through the sky at speeds reaching up to 120mph and freefall for over a minute! 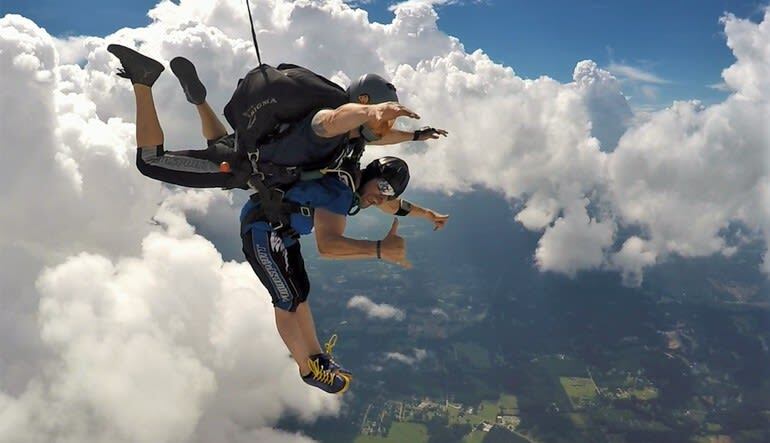 This Georgia tandem skydive begins with a brief, 15-minute safety instruction. Meet your diving partner and get geared up for the big adventure! Fly 13,500-feet high over Georgia’s magical horizon. Strapped to your veteran jumper, you take the plunge! Freefall for 45 seconds at speeds reaching up to 120mph! Once the chute is deployed, you’ll enjoy a three- to four-minute drift back to terra firma! When you consider that in reality, the full jump only lasts around five minutes, it’s amazing how time dilates once your heart gets pounding! Add another notch to your daredevil’s belt and get up there today! An experience you will be talking about for weeks! This drop zone is affiliated with the United States Parachute Association (USPA) and is governed by the Federal Aviation Administration (FAA).